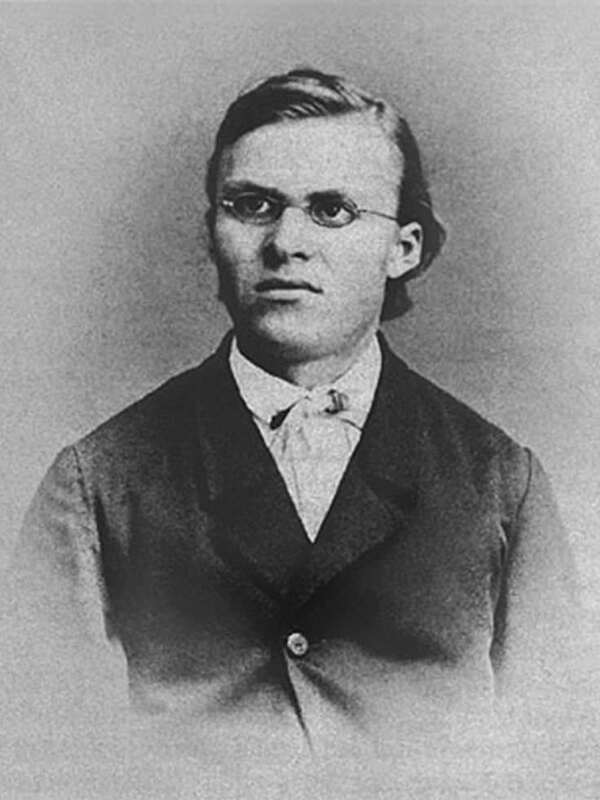 Friedrich Nietzsche as Professor of Classical Philology at the University of Basel in Switzerland. Friedrich Nietzsche was a German writer and philosopher. His main concepts were perspectivism, the will to power, moralities, the death of God, the Übermensch, the eternal return and the term "tschandala". He loved using metaphors and irony in his writings. He became the youngest occupant of the Chair of Classical Philology at the University of Basel at the age of 24. He did not became very popular during his active writing career, but he is now widely regarded as one of the greatest philosophers of all time. He was an atheist. He never got married and he had no children. He proposed 3 times to psychoanalyst Lou Salomé, but he was rejected. Many believe that he was a homosexual. He died of brain cancer at the age of 55. Friedrich Nietzsche was a famous German writer and philosopher, who was born on October 15, 1844. As a person born on this date, Friedrich Nietzsche is listed in our database as the 1st most popular celebrity for the day (October 15) and the 1st most popular for the year (1844). People born on October 15 fall under the Zodiac sign of Libra, the Scales. Friedrich Nietzsche is the 36th most popular Libra. Aside from information specific to Friedrich Nietzsche's birthday, Friedrich Nietzsche is the 4th most famous German. In general, Friedrich Nietzsche ranks as the 456th most popular famous person, and the 7th most popular author / writer / novelist / playwright of all time. “The Famous Birthdays” catalogs over 25,000 famous people, everyone from actors to singers to scientists to serial killers and more. If you're curious to see who was born on your birthday, you can use our database to find out who, what, where, when and why. You can search by birthday, birthplace, claim to fame or any other information by typing in the search box, or simply browse our site by selecting the month, the day, the horoscope, or any other clickable option.